We believe that our clients are partners, so we work with them to design and deliver the training, team building and meeting outcomes that they want. We are passionate about helping people to be productive, proactive, professional and purposeful. “Our managers came back from your training really buzzing. They really liked your style and methodology. They have lots of ideas to use with their teams. Click HERE to see more of our videos and subscribe to our YouTube channel. 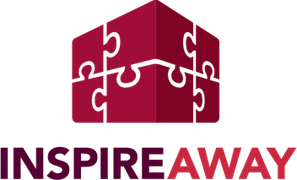 I’d love to discuss how Inspire Away can help your organisation. Please contact me below or call me on 07947 519400.